Microsoft�(NASDAQ:MSFT) has been firing on all cylinders. In its third quarter of fiscal 2018, revenue and earnings per share soared 16% and 36%, respectively.�In addition, the company was able to return $6.3 billion to shareholders through dividends and share repurchases during the period. Then there's Microsoft's impressive strength in its commercial cloud revenue, which mainly consists of Office 365 commercial, Azure, and Dynamics 365. Commercial cloud revenue in the third quarter soared 58% year over year to $6 billion,�accounting for 22% of Microsoft's total revenue. With recent performance like this, the bar is high going into Microsoft's fourth quarter of fiscal 2018. Ahead of the earnings release next week, here are two key areas investors will want to watch. Of the three main contributors to Microsoft's commercial cloud revenue categorization, Azure is the fastest-growing product. The enterprise cloud services platform has shown impressive resilience in a market dominated by Amazon's (NASDAQ:AMZN) Amazon Web Services (AWS). Indeed, Azure is growing much faster than AWS. 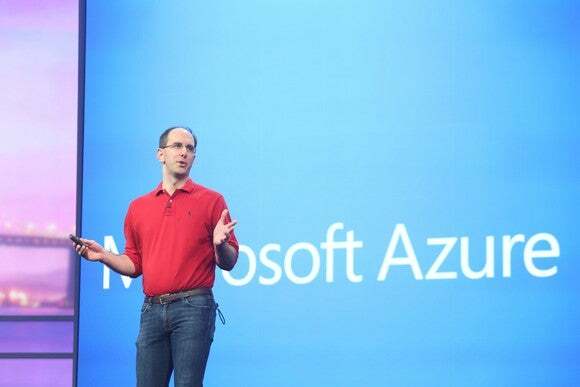 In Microsoft's most recent quarter, Azure revenue soared 93% year over year. In the same period, AWS revenue climbed 49%. "We have made the right investment decisions and they are having an impact, increasing our overall share in an expanding market," said Microsoft CEO Satya Nadella in the company's third-quarter conference call when discussing Azure's rapid growth. Highlighting the strength in the broader enterprise cloud services segment, not only has Azure managed to consistently grow at 90%-plus rates recently, but AWS has seen accelerating year-over-year growth rates for two quarters in the row. For Azure, this is the tip of this iceberg. Investors should look for strong revenue growth to persist in Q4. Despite rapid growth across a range of Microsoft products, Office remains the company's bread and butter. Accounted for in Microsoft's largest business segment -- productivity and business processes -- office commercial products and cloud services rose 14% year over year in Q3 and Office consumer products and cloud services increased 12% year over year. But it's Office 365 -- the cloud-based subscription version of Microsoft Office -- that investors should be watching closely. As part of the company's transition to a cloud-centered business model, Microsoft has been executing on its Office 365 expansion exceptionally well. While these metrics will undoubtedly help give investors some useful insight into the company's performance, they should take the time to look over Microsoft's overall financial results. Other metrics beyond these three that investors may want to check on are revenue and earnings per share, commercial cloud revenue growth, and Surface revenue.